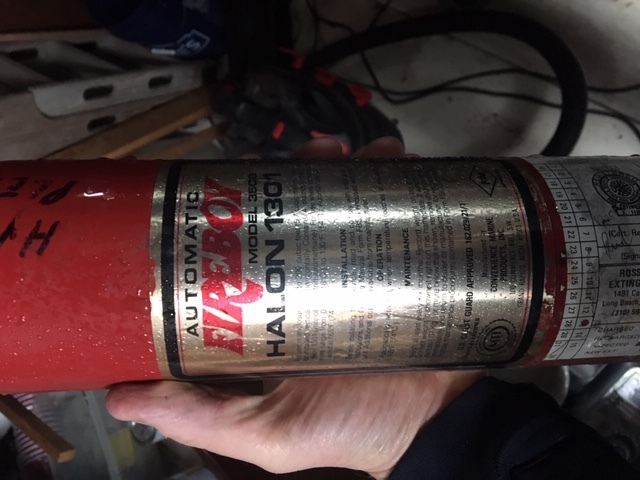 My Fireboy Halon 1301 is pretty darn old. What is a good fire suppression system to us? Can an older fireboy tank be serviced? If so where? And what is the square footage of the engine room? and if so re fill it for you and tag it. Thanks George. I’ll look into that.